Shipping:We ship 5 days a week. USPS, FedEx - your choice. 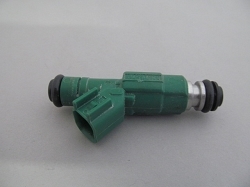 Fuel injector, remanufactured in the US. Cleaned, tested for volume & balanced, new o-rings & filter.